Mike Ullery | AIM Media Midwest Firefighters from multiple departments battle a blaze in a bi-level home in West Charleston, off State Route 202 on Friday afternoon. 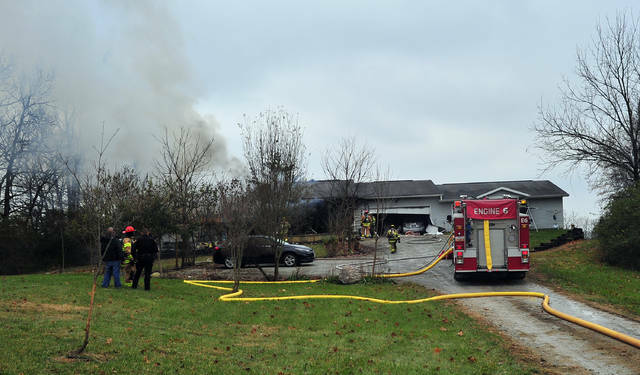 BETHEL TOWNSHIP — A Friday morning fire at a home in Bethel Township caused heavy damage. Firefighters from Bethel Township responded to a reported structure fire of West Charleston Road, off State Route 202 shortly before noon. First units on the scene reported the one end of a bi-level home to be heavily involved with fire. 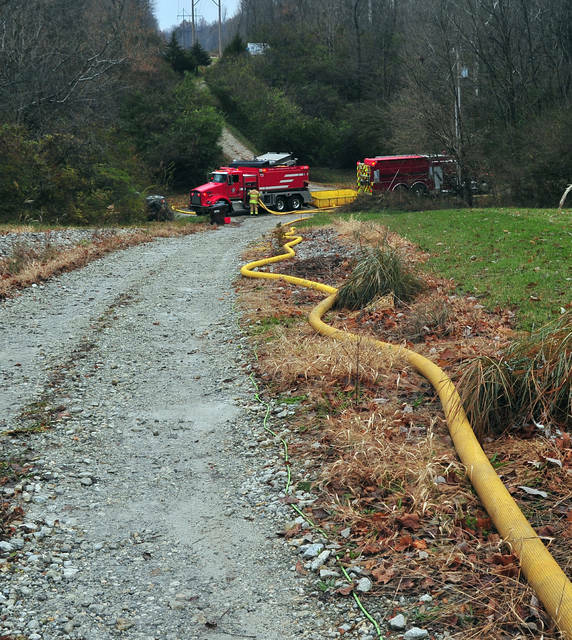 Tankers and engines from several other departments, including Bethel-Clark, Casstown, Christiansburg, and Tipp City were called for mutual aid. The home, which was located at the very end of West Charleston Road, was up a steep hill and more than 100 yards off the road. As of 2 p.m., firefighters remain on the scene. 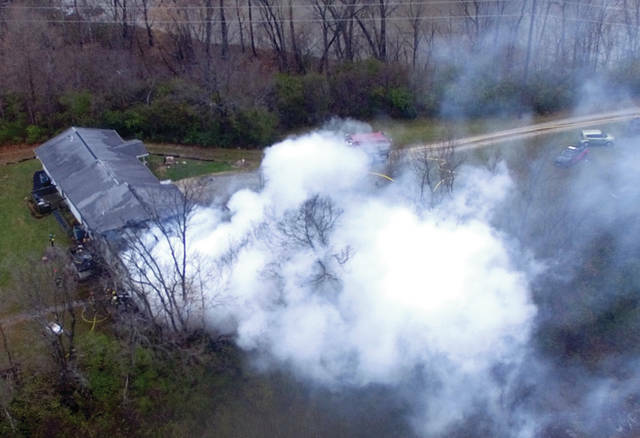 https://www.dailycall.com/wp-content/uploads/sites/30/2018/11/web1_111518mju_fire_bethel-1.jpgMike Ullery | AIM Media Midwest Firefighters from multiple departments battle a blaze in a bi-level home in West Charleston, off State Route 202 on Friday afternoon.